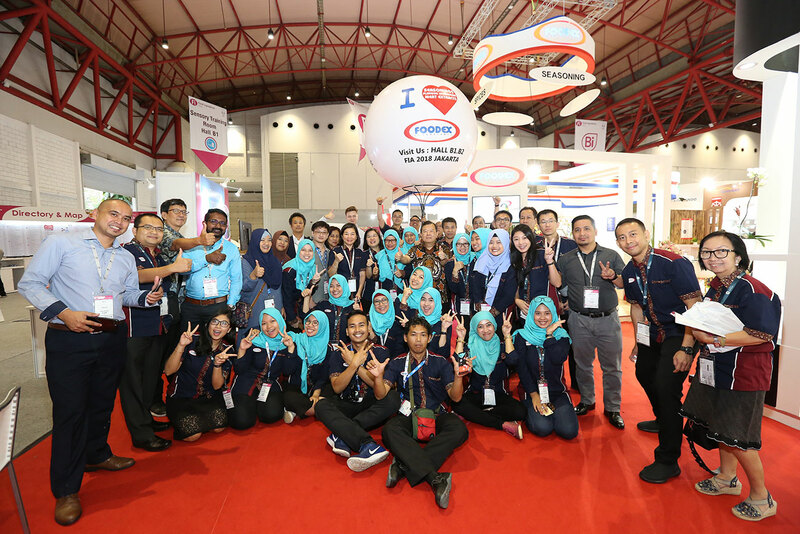 On October 3-5, 2018, Foodex had a great and successful participation to Food Ingredients Asia 2018 in Jakarta International Expo, Kemayoran, Central Jakarta. During the exhibition Foodex proudly showcased several key products according to its segment: Noodle, Snack, Processed Meat, and Food Service. Each segment displayed the latest trend in the culinary both local and international taste while embracing its root as an Indonesian company. The newest seasonings with local taste are inspired by Indonesian Maranggi satay from Purwakarta. (Maranggi is a very famous meat satay and served with coconut peanut paste). Our most out of the box creation was coming from Asinan ice cream. This spicy, unique, fruity and give the ‘Wow’ effect”. ‘Unbelievably spicy but delicious’ Asinan ice cream left our visitors with a smile on our visitor’s faces. Our creation for 2018 FIA is to focus on something different and something unique where we can entertain our guest taste buds. When they tried our creations, we do not immediately expose the taste, but we let them guess what flavor that they can taste. This is a fun and entertaining for both Foodex’s members and the guests. Finally, during FIA Foodex also launched its latest breakthrough innovation under, SpicEX® and Spice Blends®. The concept of this innovative product is to give a steady price and supply to our partners. SpicEX® consists of spice replacer and spice enhancer. Spice replacer is used to replace pure spices, while spice enhancer enhances the spice taste and can also reduce pure spices usage. Both solutions are using natural raw material which we carefully selected, imported and further processed. Lastly, Spice Blends is a convenience product where you can enhance your cooking creations into a mouth-watering masterpiece. Simply add several drops of our Spice Blends to your cooking, then Voila! you have a world class restaurant taste. We thanks to all our participants, guests and vendors. See you real soon! and See you in 2020 FIA for more innovative solutions.